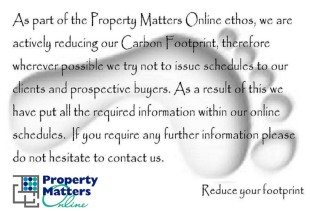 Property Matters Ltd started in 2004 specialising in investment opportunities. We quickly moved on and today the business offers property sales ,lettings investment opportunities and relocation advice. Primarily working with individuals and small developers we aim to provide a cost efficient tailored marketing service including advertising through the largest UK website - rightmove.co.uk and where required virtual tours, brochures and press advertsing. We pride ourselves on excellent service and customer care the company has grown substantially and customers continue to come back and refer friends.